We are looking back at a successful and enjoyable "Jasis 2017" exhibition, which was held from September 6th to 8th at the "Makuhari Messe" in Tokyo, Japan. 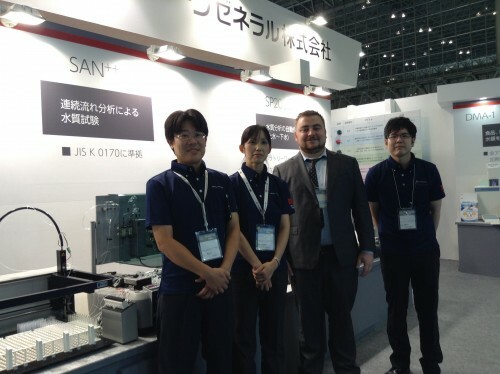 Our San++ continuous flow analyzer and SP2000 robotic analyzer were on display. More information about these products and other Skalar products can be found on this website. We would like to take this opportunity to thank everyone who has visited our booth and we are looking forward to seeing you again in the near future.